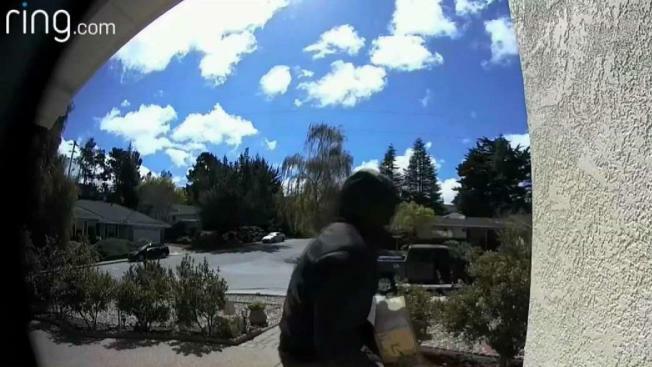 Package theft is becoming more common by the day, and now some South Bay lawmakers are at the forefront of a proposed state law that would increase the punishment for so-called porch pirates to include months or even years in jail. The proposed law would elevate package theft to a crime level closer to home burglaries. Those who have been victimized are delighted officials are taking action. Some package thieves have been caught on home security cameras, but most get away and are never caught or punished. 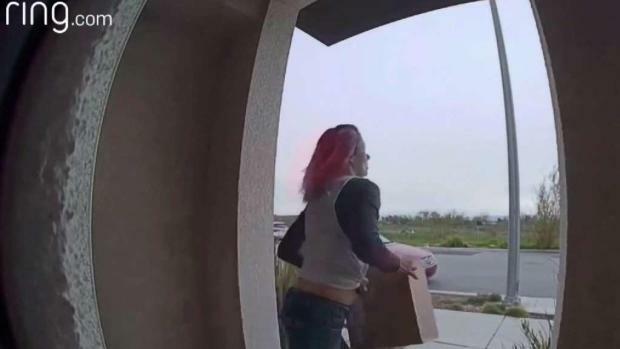 Package theft is becoming more common by the day, and now some South Bay lawmakers are at the forefront of a proposed state law that would increase the punishment for so-called porch pirates to include months or even years in jail. Ian Cull reports. One San Jose victim thought she was safe with a gate, but she wasn’t. Kari Davisson said she’s been victimized twice and so have her neighbors. She is rooting for Assembly Bill 1210, which would increase the punishment for package thefts. Davisson said thieves these days are so brazen. "The woman that came and took my stuff actually came up to my porch, sat down, opened the box, made sure she wanted what was in it, then put it in her backpack and walked away," Davisson said. The new bill, authored by Santa Clara County District Attorney Jeff Rosen and proposed by South Bay Assemblyman Evan Low, would give police officers discretion to book a suspect for either a misdemeanor, with almost a year of jail time, or a felony for repeat offenders, with jail time up to three years. "I think it may lead to more arrests," Rosen said. "What I’m hopeful for is there will be a certain deterrent value to this and people will think twice before taking packages off someone’s front doorstep. "When you take something off someone’s front door step, where you’re literally inches from their house, that’s a real violation of someone’s privacy and sense of self," Rosen added. "And there’s also quite a potential for violence." San Jose police Chief Eddie Garcia supports the bill as do many frustrated neighborhood associations. "So, I welcome this," said Jeff Levine, Roosevelt Association vice president. "Is it gonna solve the problem? No, of course not. But it’ll give law enforcement a much better tool to deal with the issue." The bill is scheduled to be discussed by the Assembly Public Safety Committee around the end of this week.